Choose one, vertical or horizontal! The horizontal white gold pendant has a high polish finish, and the vertical has matte surface. 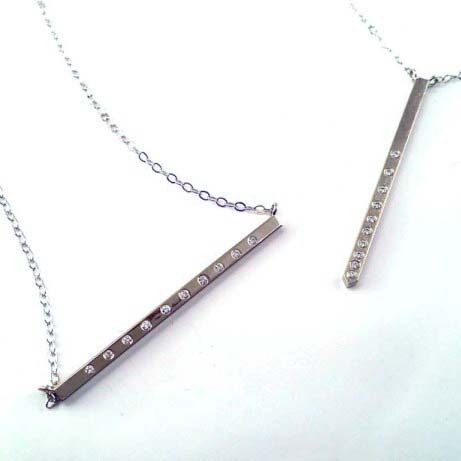 10, G/H SI 1 diamonds are flush set in a solid bar of 14K white gold and welded onto a 14K white gold chain. Handmade in Boulder with ethically sourced materials. Price is per necklace.